Cute, clean, comfortable, spacious, affordable! A little larger than Music City 5, this apartment is one of our newest. It’s perfect for two couples, but will sleep six with the comfortable sleeper sofa downstairs. Don't settle for "near" town. Why not be right in the middle of the action, walking distance to everything you want to see and do and still have some peace and quiet. For two couples, you won't find a better place. 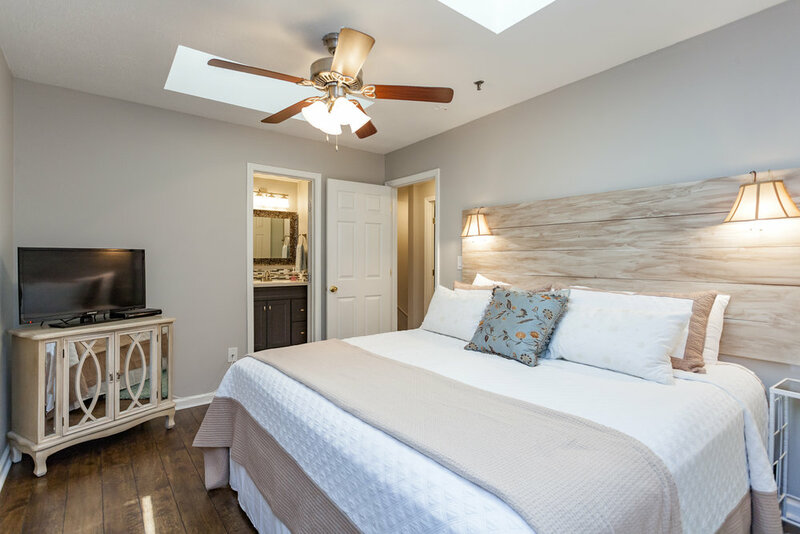 Less than one block from the Wild Horse and a five-minute walk to the World Famous Tootsie's and the rest of Honky Tonk Row, Music City Suite 6 has the best location in the city. This 2-bedroom, 2.5-bath apartment located on 2nd Avenue features all the amenities of home. 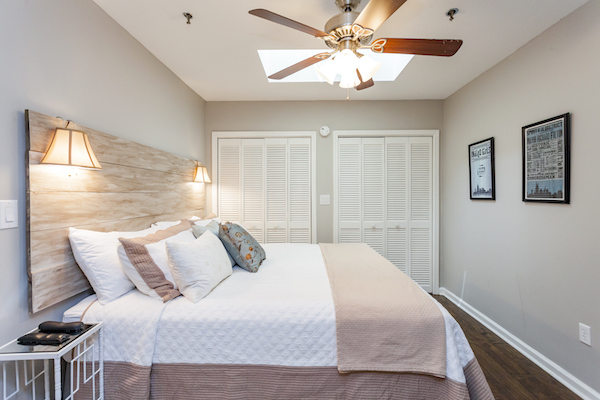 Each bedroom has a private bath with a beautiful tiled, walk-in shower, and there's a half-bath downstairs. Rates do not apply for special events including CMA Fest. Contact us for those rates and for last minute deals. 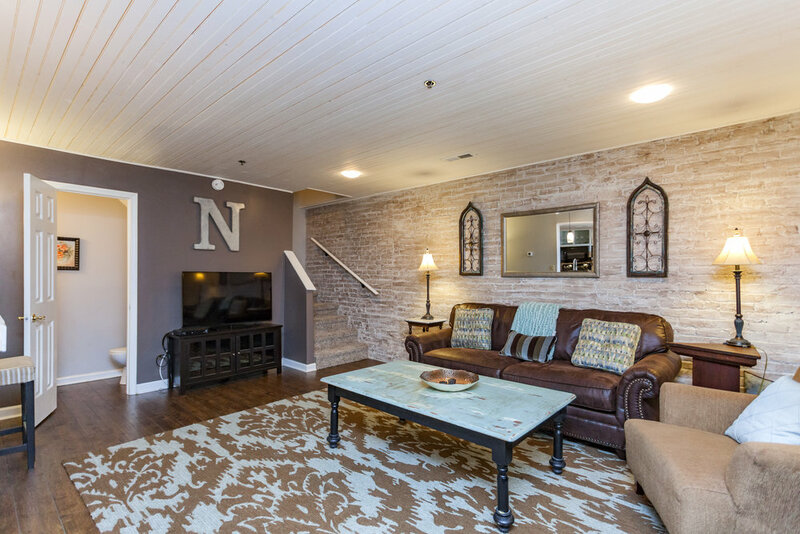 If you need a beautiful 2 bed/2 1/2 bath place to stay in Nashville, this is the perfect place! It was the perfect size, sparkling clean and just two blocks from everything on the Honky Tonk Highway. With the parking pass for the garage across the street that's included with the rental, you park your car and forget about it until you're ready to leave. Thank you to Betsy (the manager) for making this Blackberry Smoke weekend in Nashville one of our best trips ever! Beautiful condo just 2 blocks from Broadway. Betsy was great to work with & we will definitely be coming back on future visits to Nashville! The condo is well equipped. All the rooms and baths were lovely and well equipped. It was perfect for two couples. The location couldn't be better, a two block walk to all the Nashville action. Parking felt safe in the garage across the street. You are in the heart of the city, there is food and entertainment on the block. Betsy was courteous and timely with all of our questions.